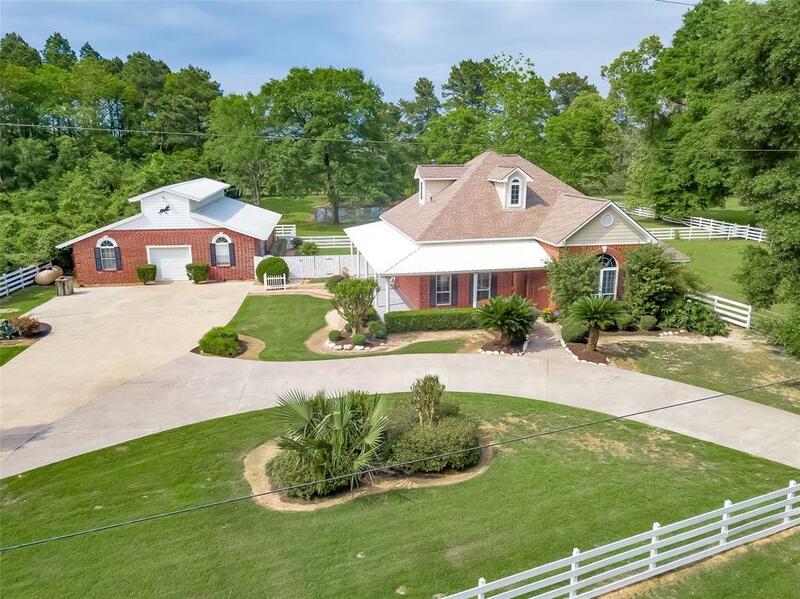 Beautiful home with wrap around porch set on a tranquil park like setting. 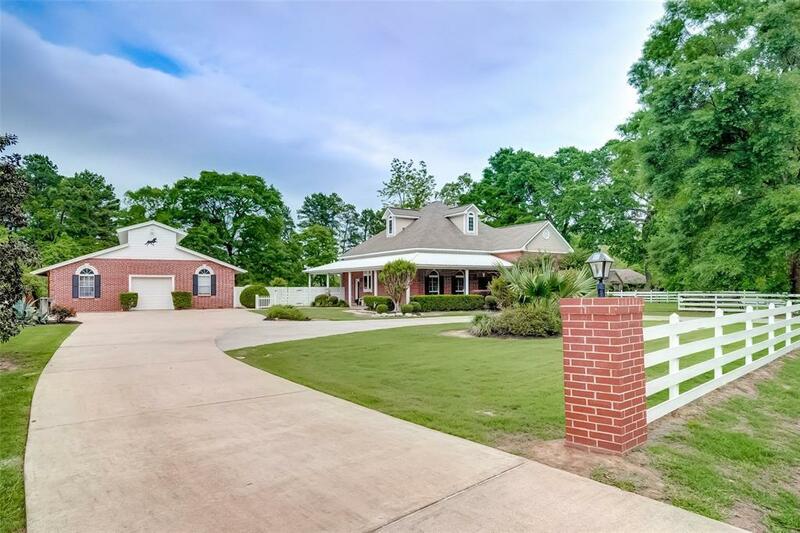 2 ACRES Main house boasts a Large Kitchen, SS appliances, Granite counter tops, Gas Range, Island with seating, Eat-in space for Large Dining table. Open to Living room great for entertaining. Tons of natural light. Wood burning fireplace. Spacious Master bedroom looks out to beautiful green pastures. Recently updated Master bath, freestanding shower, fantastic spa tub, walk in master closet. Double door entry to Office. Large Game Room upstairs with tons of storage, separate area for a bed. Roof replaced 2014! 2 stall barn and hay shed. Stocked Pond and New Deck. Detached Garage-Work shop has updated APARTMENT! Currently rented (Month to Month Lease) with great reference letter on tenant. Fantastic income opportunity or use the apartment as you see fit. 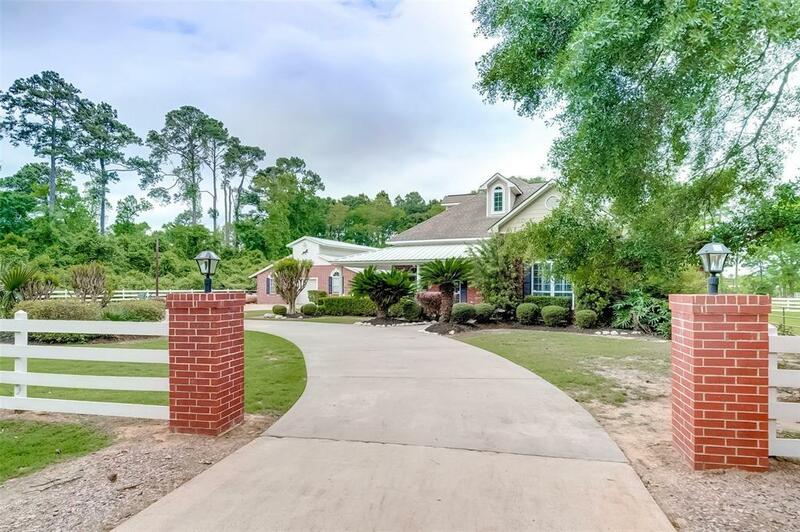 Only 2.4 Miles to all The Woodlands has to offer. 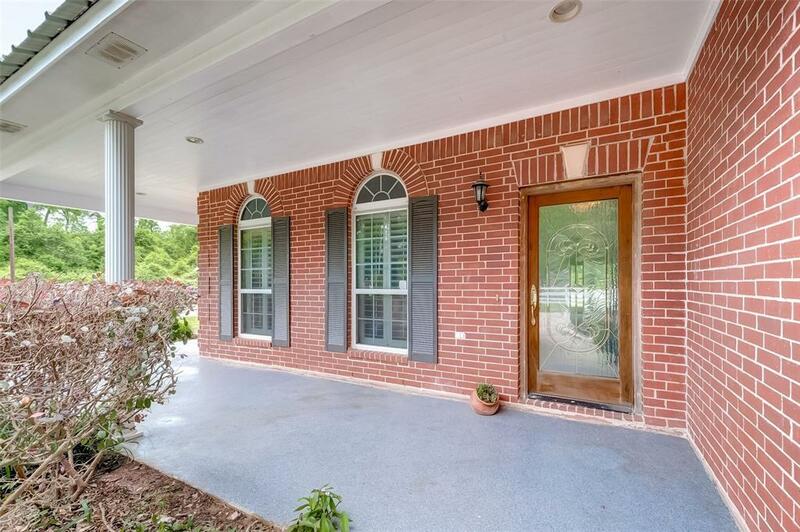 Don't miss out on this well maintained beautiful home. NEVER flooded. Unrestricted Horse Allowed.